Does Chick-fil-A franchise? That seems to be one of the most asked questions about Chick-fil-A, one of the most frequented fast food chains in America. In fact, recent stats show that Chick-fil-A locations are popular in 38/50 states. 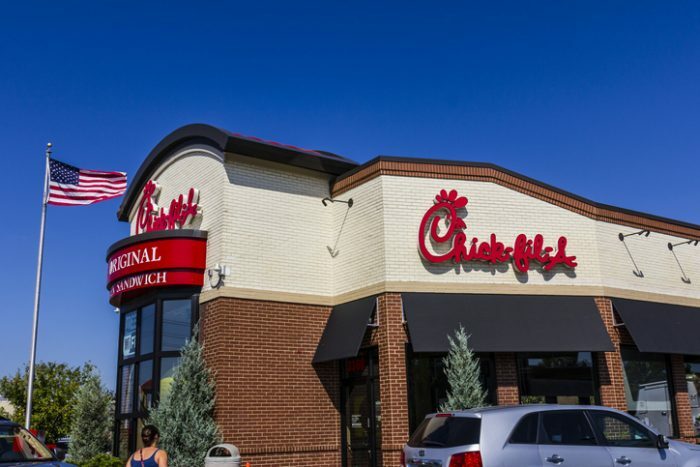 Chick-fil-A is giving top fast food restaurants like Burger King, McDonald's, and Subway a run for their money. The simple answer is, Yes - Chick-fil-A is a franchise. This food franchise adds an average of 78 locations to their outfit every year across the US and Canada. Unfortunately, it’s tough to buy into Chick-fil-A franchise. Get this: of more than 60,000 franchise inquiries that the fast food chain receives every year, only about 1% get accepted. That means only around 75-80 applicants get to open a new Chick-fil-A location each year. So, if you think you are cut out to be a Chick-fil-A franchise owner and looking for a fabulous investment opportunity, then checking out the fast food chain might sound like a banker. But is Chick-fil-A the right franchise business for you? Herein, we shall take you through a few crucial things you should know about Chick-fil-A franchise. ● It’s more difficult to get into a Chick-fil-A franchise ecosystem than to get admitted to Harvard University. In fact, it is nearly 28 times harder. ● But that isn’t all to this wildly popular fast food restaurant chain. According to recent stats released by QSR Magazine, Chick-fil-A is a clear leader when it comes to sales volume per location. Each location raking in more than $4.4 million in sales annually on average. That’s incredible considering that it trumps its distant second competitor, Whataburger, by around $1.7 million in sales per location per year. If its sales volume is something to go by, then Chick-fil-A is one of the most profitable QSR franchise to own. This could explain why the acceptance rate is sinfully low. Given that initial investment is only $10K with no net-worth threshold, you are in for a smooth and profitable ride. Chick-fil-A makes it crystal clear that owning one of their franchises isn’t just an investment. In fact, they make it clear that you shouldn’t have other investment or business commitments if you want to own buy their franchise. They state on their website that a Chick-fil-A franchise opportunity calls for the would-be owner to be “free of any other active business ventures.” According to the company, you should run the restaurant on a “hands-on” and full-time basis. If you look at it, they are focusing on growth in pretty much across the county, unless you are planning to open a location in Hawaii or Alaska. Chick-fil-A franchisees (popularly called operators) should inquire about expansion opportunities in the following states; Florida, New York, Wisconsin, Washington, Utah, Texas, Rhode Island, Pennsylvania, Oregon, North & South Dakota, New Hampshire, Connecticut, California, Kansas, Arizona, Michigan, Minnesota, Nebraska, Missouri, New Jersey, and Maryland, to name a few. If you are not fond of toeing the line and sticking to laid-out rules, Chick-fil-A franchise ownership might not be for you. True to the word “operator,” Chick-fil-A franchisees don’t actually own any piece of equity in their locations. The company chooses the location of the restaurant and actually owns it. As a franchisee, you cannot hand over your location to another franchisee or sell it. What’s more, is that a franchisee cannot run more than one Chick-fil-A location.